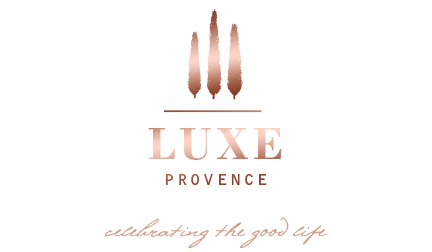 Luxe Provence, the luxury lifestyle brand focused on the artisanal beauty and quality of France’s Provence region, kicks off a much anticipated fragrance collaboration with Grasse perfumer, Stéphanie Bakouche of Sensaba. Bakouche, an active member of Versaille’s Osmothèque and Accords & Parfums, is the talented young nose behind luxury niche fragrances: Rose Privée by L’Artisan Parfumeur; Jul et Mad’s Fugit Amor and Mon Seul Desir; and Cloon Keen Atelier’s Bataille de Fleurs. Bakouche spent seven years in fragrance development for brand, l’Artisan Parfumer, and as a student and colleague of nose, Bertrand Duchaufour. Bakouche is an independent member of Accords & Parfums, the acclaimed perfume center located on the historic Domaine Sainte Blanche, with direct access to the highest quality fragrance ingredients and latest technology innovations in the world of perfumery. The prestigious center was founded by Olivier Maure, well-known for passionately protecting Grasse’s perfume heritage for decades, alongside Edmond Roudnitska at Art & Parfum, the first independent nose and French Master Perfumer. Roudnitska is behind many of today’s bestselling fragrances of all-time which were created on the property, such as, as Dior’s Eau Sauvage, Diorissimo, and Rochas’s Femme. “I am thrilled to collaborate on our first Luxe Provence fragrance with such a rising talent who perfectly embodies our brand values working as a passionate artisan while also protecting and advancing the high quality perfume heritage here in Grasse”, Tarik Koivisto, Founder & Creative Director of Luxe Provence. The brand’s premiere fragrance collaboration is inspired by Luxe Provence founder’s fond memories of her family’s first summer spent in the magical calanques. The first Luxe Provence artisanal candle fragrance will be released this June presented in a handmade porcelain vessel created exclusively by Artisan of Provence, Valérie Casado. More details on this exciting fragrance collaboration coming early May.